Welcome to Belly Busters @ Mains Castle. 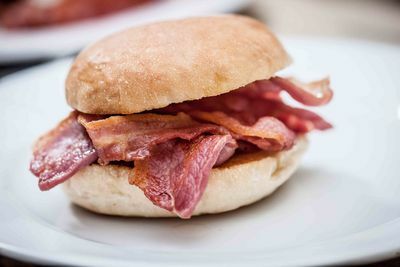 Located in the kitchen of the Castle, we specialise in Breakfasts, Filled Rolls, Baguettes and Toasties. We deliver to a wide area of Dundee so everyone can have the chance to try our delicious food. Recieve 10% off on your first order using our mobile app when you enter the code below at the checkout. Copyright Belly Busters 2019 - All rights reserved.